President Trump released a flood of analysis against the New York Times in a progression of tweets Saturday, depicting the paper as "fake" over its inclusion of his movement approaches and anticipating it would stop to exist inside six years. In his first Twitter post, the president shot the paper for its tale about his organization's dangers to discharge transients into "urban haven areas" as striking back against Democrats. "The New York Times Sanctuary Cities/Immigration story today was intentionally wrong on pretty much every reality," the president composed. "They never call to check for truth. Their sources frequently don't exist, a fake. They will lie and swindle in any case conceivable to make me look awful. In 6 years they will be gone........."
Maggie Haberman, the White House journalist for the Times, discredited Trump's allegation that the paper never connected for input. "POTUS truly should check in with his press group all the more regularly, or they with him. NYT messaged multiple times for input and press office recognized receipt of messages," she tweeted. Trump has over and again proposed discharging transients into "urban asylum areas." An announcement from the Department of Homeland Security to Fox News said the plan to discharge outsider prisoners onto the boulevards of haven urban communities "was drifted and dismissed, which finished any further talk." A subsequent tweet said the Times "asked" its endorsers for pardoning over its "lamentable" 2016 race inclusion of him. The tweet alluded to a November 2016 letter from Times distributor Arthur O. Sulzberger that guaranteed perusers it would "reflect" on its inclusion and rededicate itself to giving an account of America and the world genuinely." "....When I won the Election in 2016, the @nytimes needed to ask their escaping endorsers for absolution in that they secured the Election (and me) so gravely. They hadn't the faintest idea, it was disgraceful. They even apologized to me. However at this point, they are far more detestable, truly degenerate announcing!" Trump composed. The Times denied saying 'sorry' to Trump. Trump finished by denying a Times report that asserted he coordinated acting Homeland Security Secretary Kevin McAleenan to close the U.S.- Mexico outskirt and offered to excuse him if things went astray. 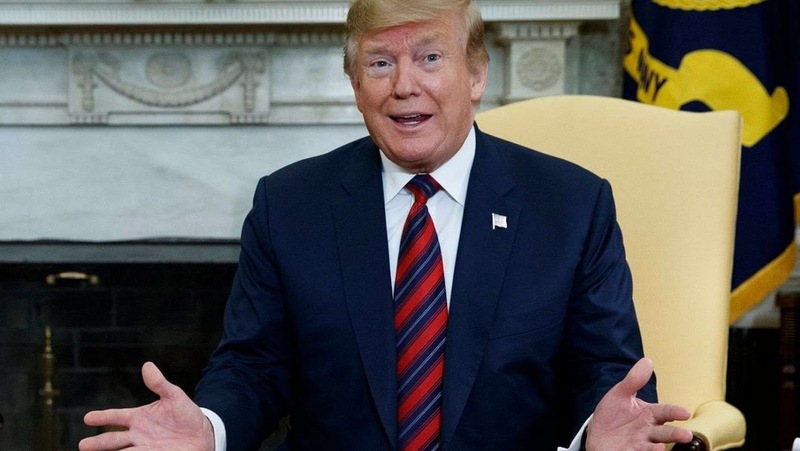 "I never offered Pardons to Homeland Security Officials, never requested anybody to close our Southern Border (even though I have irrefutably the privilege to do as such, and may if Mexico does not catch the illegals going to our Border), and am not "baffled." It is all Fake and Corrupt News!"